VIEUX FORT, Saint Lucia (March 21, 2019) – The management and staff of Coconut Bay Beach Resort & Spa and Serenity at Coconut Bay staged the reception for His Royal Highness, Prince Charles, the Prince of Wales on March 17, 2019 on the occasion of the royal visit to Saint Lucia celebrating the country’s 40th Anniversary of Independence. Zachary Frangos, General Manager of Coconut Bay Beach Resort & Spa hosted Prince Charles at Serenity at Coconut Bay prior to the reception at sister resort Coconut Bay Beach Resort & Spa’s Eternity Beach venue. 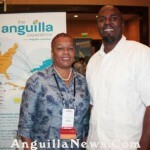 The reception, presented by Their Excellencies the Sir Emmanuel Neville Cenac and Lady Julita Cenac welcomed the Prime Minister of Saint Lucia, the Honourable Allen M. Chastanet and Mrs. Chastanet, local officials and dignitaries along with 600 guests from across the island. “It was an honor for our resorts to host Governor General Cenac, Prime Minister Chastanet and local dignitaries for the special occasion of welcoming His Royal Highness back to Saint Lucia,” says Zachary Frangos. 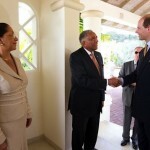 The arrival of Prince Charles in Saint Lucia marked the beginning of a Caribbean Tour with the Duchess of Cornwall. 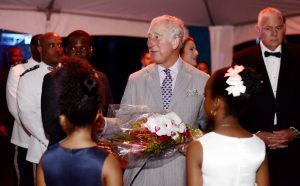 The Prince of Wales also visited Saint Lucia to commemorate the tenth anniversary of the island’s independence in 1989, and their Royal Highnesses last visited St. Lucia in 2008. Lwe-ann Trudy Ursula Chastanet and Rekelli Tommy welcoming His Royal Highness, Prince Charles, the Prince of Wales to Coconut Bay Beach Resort & Spa for reception hosted by the Governor General of Saint Lucia, His Excellency Sir Emmanuel Neville Cenac and Prime Minister of Saint Lucia, the Honourable Allen M. Chastanet. Delia Dolor is an all-round media professional. She produces and presents television, radio and live shows. She is also a public speaker, magazine and print editor. 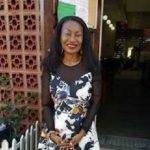 Delia has been credited with creating a more intimate confessional form of media communication and to have influenced the way talk shows in the Caribbean can influence the lives of others.